For the first time, the market leader for professional messenger communication offers an inside look into over three years of experience with 1,600+ customers and nine billion data sources. WhatsApp: preferred channel for communication between businesses & customers. On average, users are subscribed to 1.6 business channels on WhatsApp. 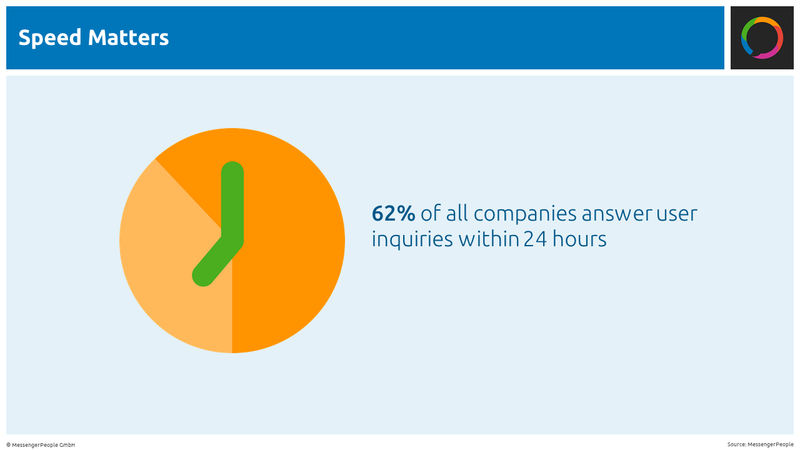 62% of all businesses answer customers within 24 hours. 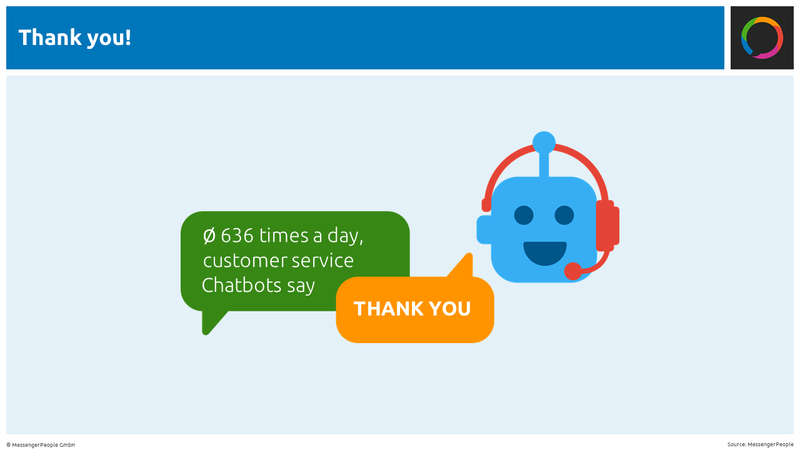 44% of all customer inquiries are already being answered by Chatbots. 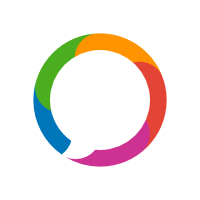 On the basis of 10 million messenger services users and 18 million daily sent messages, MessengerPeople, the leading software provider for communication over messaging apps, offers insights from the MessengerPeople Study 2018 into the current state of digital communication and the development of messaging apps for businesses. 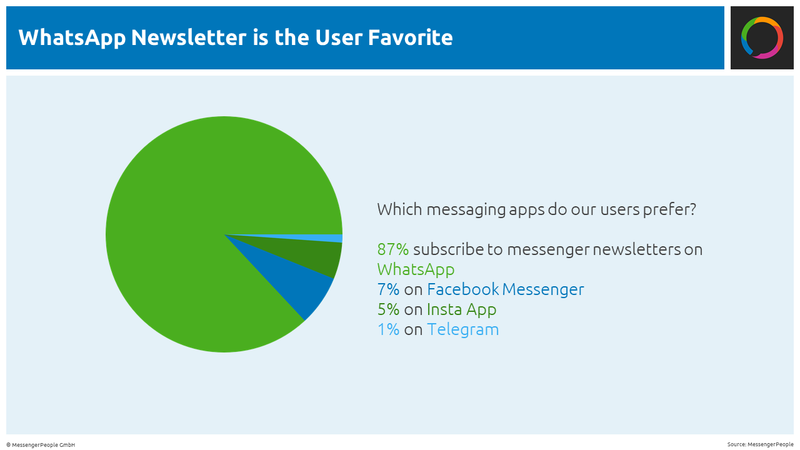 87% of users subscribe to messaging app newsletters on WhatsApp, followed by 7% on Facebook Messenger, 5% on Instagram, and 1% on Telegram. An analysis of the billions of messages sent over the MessengerPeople software shows that links sent in the newsletters have an average click through rate of 32%. “Not only the opening rates, but also the click rates are much higher than in e-mail marketing. The unsubscribe rate for messaging app newsletters is 0.1% – much lower than for e-mail newsletter, where you can already be happy with a 0.5% unsubscribe rate,” says Mehner. Live updates about the German national elections were sent over the Washington Post’s specific European politics WhatsApp channel and the coalition decision in the German government this year was also first announced by a German political party over WhatsApp. Messaging apps are also becoming important in political daily life! Note about the Graphics: Please include our trademark when using: © MessengerPeople 2018 – Download here.